Most people don’t know that there’s a character for almost any symbol out there. There’s no need to use images to display arrows, smileys and simple drawings, we can simply copy them in our document as plain text. Use them in Facebook or for chat so make sure you bookmark this page to give you quick access this list! Use your mouse to select any of these characters and copy them as if you would copy any text character. Today we are presenting a free online tool which was designed to convert any digital document to a nice and tidy HTML markup. It can handle Microsoft Word, Excel, Powerpoint Google docs, PDF and any other format we can imagine. It has a very clean user interface, just like its predecessor, the popular WordOff converter which has been discontinued. A good and convenient IDE is what you absolutely need while developing web sites. Nowadays, there are a lot of applications such as PHPStorm, Nuphere PHPEd and so on to achieve that purpose. In our review we would like to describe a free IDE, that is as good as paid applications. This IDE is Codelobster PHP Edition. 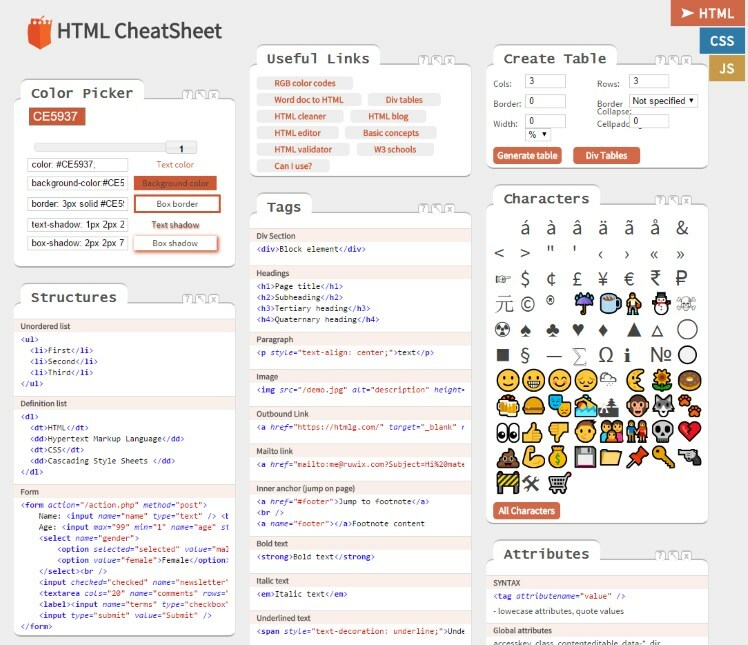 There are many online HTML editors that fulfill similar tasks and are very popular but most of these haven’t been updated for years and they don’t follow the latest trends. Being so old they have got a big reputation from Google, many sites are linking to them and many people got used to them. We could mention here HTMLEdit by Squarefree, OnlineHTMLEditor .Net, HTML Instant and many others. Start the Rubik’s Cube solver here and watch the video above on how to use it. There are many free online tools with a simple interface which were developed to help us convert our text to uppercase, lowercase or sentence case with a few clicks. Some tools support even more specific settings, like random, pascal, alternating, or title case. The PascalCase, hyphen-case and the snake_case converters help us generate file names instantly. It’s very handy when we want to demonstrate a computer code on a webpage and we want to do this in a nice-looking way using colored syntax highlighting. In this article we present a free instant highlighter which converts our code to a readable HTML code.